Technical analysis eur usd shows that we can have “failure swing” reversal pattern forming at the forex currency trading RSI indicator. The target of this fall is the level of 1.3311. 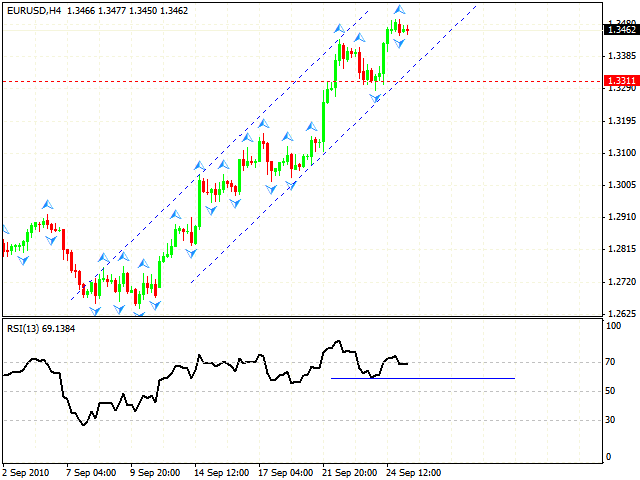 At the indicator we also can see divergence which can lead to the pair correction. One can try to sell the pair with the tight stop and move stop into the black as soon as possible. In case of the GBP/USD currency pair the rising pattern with the target in the area of 1.5773 has been completely formed. Currently there is a potential for the further development of the rising movement. From the viewpoint of gbp usd analysis we should expect the correction to the channel’s lower border, into the area of 1.5760, where you can start buying the pair with the target of 1.5979. On the basis of technical analysis usd chf franc fell even further than it was predicted, however at the moment we can see the formation of “head & shoulders” reversal pattern. In case the pattern is formed, the price will go up to the area of 0.9942. One can try to buy with the stop below 0.9825. By now all the targets of the rising pattern have been reached and we can see the reversal pattern forming. 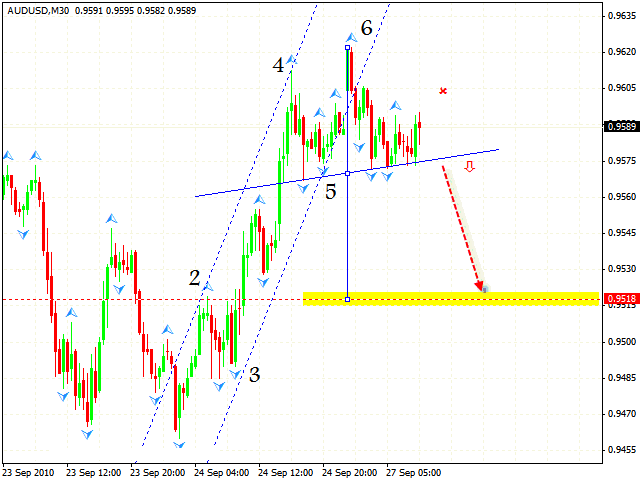 Analysis aud usd shows that it's better to sell the pair only after the neckline is broken with the stop above 0.9595. In this case the target is in the area of 0.9518. 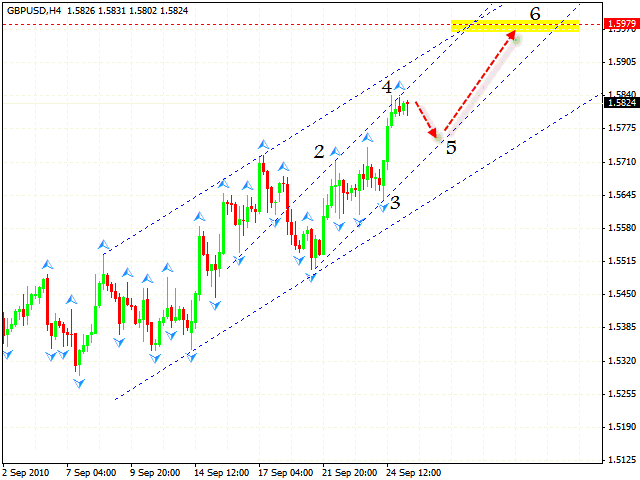 After New Zealand Dollar has broken the rising channel it went back to the level of breaking. 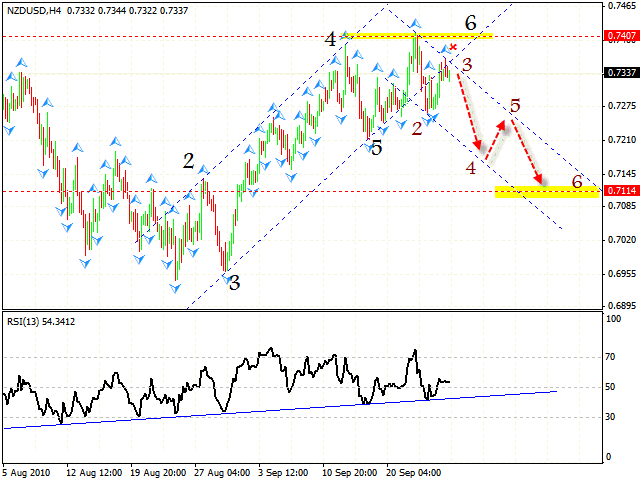 Technical analysis nzd usd shows that we should expect the development of the descending trend with the target in the area of 0.7114. 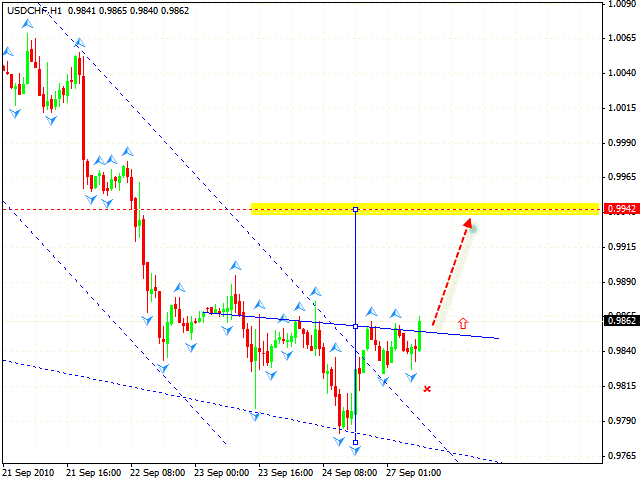 One can try to sell the pair with the stop above 0.7360.